Newt Gingrich pledged as a presidential candidate that if he was elected president, he would build a moon base by the year 2020. He even went so far as to say that if 13,000 Americans were to inhabit the base eventually, they could apply for statehood. While voters in the primaries ultimately rejected him, Gingrich did demonstrate an insatiable curiosity for space exploration. Curiosity already discovers lower life form on Mars. Enter the Curiosity Mars mission. The former Speaker of the House was obviously more serious about human space travel than many thought, actually managing to outflank NASA itself. Yes, the Newt has landed, astonishing everyone. The move is reviving his campaign, and he hopes to ride the accomplishment all the way to the White House in a renewed bid for the presidency. 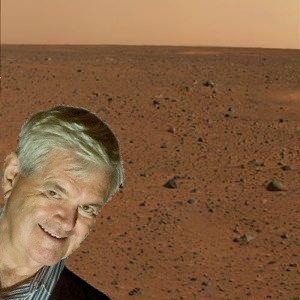 Gingrich is using the free airtime provided by Curiosity’s seventeen cameras to make an unanticipated pitch for a surprise presidential nomination at the upcoming Republican convention. Aides say he feels that his bold ideas for a new Mars colony and eventual statehood — combined with Romney’s poor showing on the campaign trail so far — will generate a revolt at the convention and put him on top for the nomination. Apparently, Gingrich’s billionaire supporter, Sheldon Adelson, is still behind him, despite rumors that he was now contributing to Mitt Romney’s Super PAC. 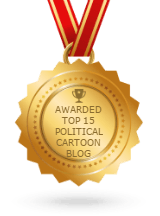 His support has enabled the candidate’s daring, risky and quite expensive space-age campaign ploy, and could turn the GOP convention on its ear. Newt’s footprint on the Moon, which he appears to have used as a stepping stone to get to Mars. “We don’t know how he did it,” said Allen Chen, deputy head of the rover’s descent and landing team at the Jet Propulsion Laboratory near Los Angeles. Scientists are now trying to piece together how the perpetual presidential candidate was able to get to Mars. Evidence shows that Gingrich used the moon as a stepping stone. New photos show footprints that were not there before, and which are his exact shoe size.